Free Spiritpreneur Success Strategies Online Class! Mini-Course: 4 Powerful Video Lessons for Influencer-Entrepreneurs. We are going from self-love to self-launch. Lesson 2 (of 4) of Spiritpreneur Success Strategy is now live! 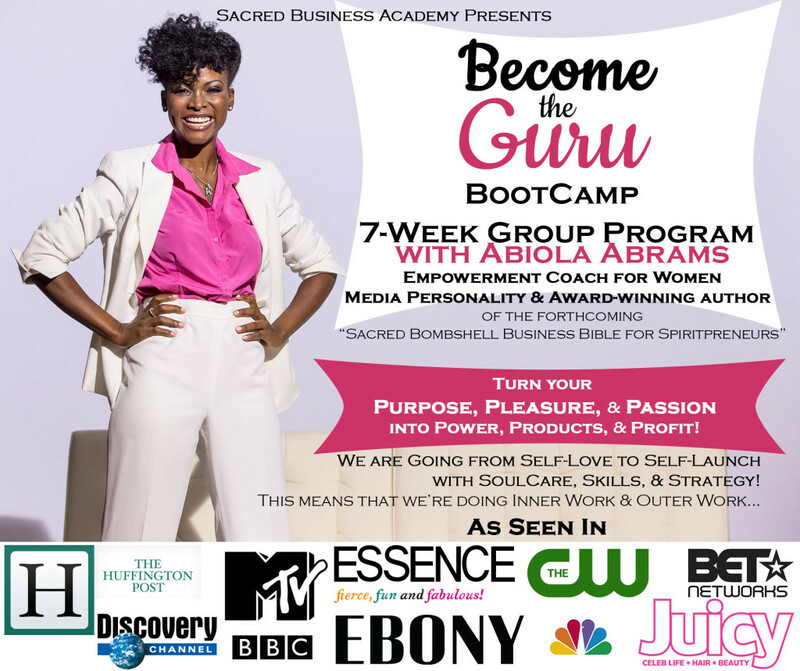 I created the free course, Spiritpreneur Success Strategy, to celebrate the launch of myBecome the Guru Bootcamp. Whoo hoo! This free 4-part e-course for influencers to build their influence will only be available for a limited time. Be sure to catch it before time is up. -Lesson 1 (43 minutes) is the one critical thing you need to succeed as a speaker, writer, trainer, coach, movement maker, blogger, business bombshell or spiritpreneur. -Lesson 2 (41 minutes) is how to move from invisible to Visible with turning your mission into a movement.